Verdict - in a world where the head rules the heart lootera takes us back to a time when love was all heart. 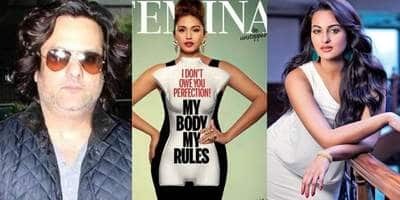 "main usse badla nahi lena chahti, bas usse bhool jaana chahti hoon" says Pakhi ( Sonakshi Sinha) who is heartbroken after finding out a devastating truth about Varun ( Ranveer Singh). Varun walked into her life as an archaeologist intending to dig up the place around her house. he earns the trust of her father who is dealing with times when post independence in 1953 goverment announced the end of zamindari.but most importantly,he falls in love with Pakhi knowing it is forbidden fruit for him and Pakhi unabhasedly falls for him too. until, the truth surfaces.. Vikramaditya Motwane painstakingly creates the old world charm in the 1st half when falling love in was slow and almost silent. 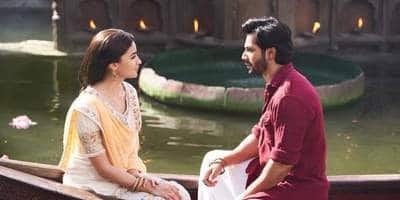 the lead pair talks in whispers and the filmmaker beautifies them using tools such as dazzling cinematogaphy (Mahendra Shetty) , splendid art direction ( Aditya Kanwar) and a background score ( Amit Trivedi) that is more in your face than a subtle underlay support to the screenplay. it is in the 2nd half that Motwane excels as a filmmaker when he explores the emotion of heartbreak and redemption when Varun resurfaces in Pakhi's life after a year. Sonakshi Sinha beautifully brings out the pain of dealing with the mixed emotions of anger and love at a point in her life when she is almost on the verge of giving up on living. this is the performance that can be called her debut as an actor. Ranveer also gets to show a diiferent side to his personality. surprisingly both the actors are able to hold the film on their own.something which i was wary of them pulling it off. music is one of the highlights of the film. with no lip sync songs it is a perfect accompainment to take the story forward. the picturization of zinda ( my favorite track from the album) is one of the best song picturization i have seen in recent times. Vikramaditya Motwane has taken a leap ahead in terms of craft from his debut film Udaan. this film is more about the storytelling than the story. i hope he gets more ambitious with his 3rd film. Hindi cinemas is in desperate need of such films and filmmakers. Word of mouth - in a world where the head rules the heart lootera takes us back to a time when love was all heart. Exhibiting sheer cinematic and musical brilliance, Lootera journeys from the lush town-side landscapes of Bengal to the poetic woods of Dalhousie, in a span of an year. The palatial 'Havelis', embellished with exquisite antiques, long corridors, beautiful dressing tables, tranquil libraries, vintage Fiat, evenings spent in the reading rooms with poetry an stories- reflect the Bhadroloki zamindari culture most effortlessly. Here we have a compassionate widower of a zamindar whose life revolves around his daughter Pakhi and his nibbling manager. This zamindar however has one tragic flaw- his complacence; His assertion in the first scene of the movie, that he would not sell his ancestral property. In the next scene he narrates a story of the invincible King to his daughter, whose life existed in a parrot, and how one day an intruder finds the secret, kills the parrot and consequently the king. His daughter holds the value of that parrot to him. With this looming sense of intrusion, into this perfect world, enters Ranveer Singh as Varun Srivastava, in guise of an archaeologist,who in the pretext of excavating the temple area of Zamindar Babu wants to dig a tunnel from where he can carry the antique idol of Radha-krishna, amongst other treasuries of zamindar to his uncle. 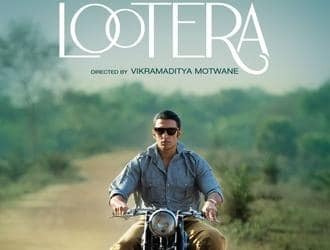 This 'lootera' not only infilterates the zamindar household but also manages to swoon zamindar's daughter, his prized parrot, in whom his life ceased. Pakhi is a pampered child who sneaks out in the car with her friend, bumps into people and puts the blame on the driver. It comes of a little surprise that when Pakhi wants to learn 'Painting' her 'Shauk'(interest) is met instantly, and her father herself talks to Varun to teach her daughter how to paint . Varun agrees to tutor Pakhi, even lifts a guide-book on how to paint, But it turns out that Pakhi is already at par with all the basics he mugged up for the class. The shantiniketan alumna Pakhi draws a beautiful landscape and leaves Varun stunned. But she stops short at drawing the leaves, and says that has always been her weak-point, varun takes over with his modern rendition of utterly hideous leaves-his first attempt at drawing leaves. She becomes his drawing teacher, they talk, smile, walk and confide in each other, through the course of the painting tutorials and love blossoms. But Varun's friend reminds him, how he doesn't have the permission to love. The distant attitude of Varun irks Pakhi, she reaches the archaeological site herself to confront him, and asks why is he doing this to her. This is not a spoilt zamindari brat child, this is a naive person who has not seen rejection before, the aloofness from the man she loves is too much to fathom for her. And she asks, ''Mujh se pyaar karte hai Varun Babu, mera dil rakhne ke liye to haan bol dijie''. While the love-life of pakhi hung in the middle, the well settled zamindari household is also on the verge of a crumble too. And it is manifested beautifully when the treasury department invades the roy choudhary houseold and take away all the gifts and artifacts gifted to them by the East india company. His family has had them for years. Adding to his mount of miseries, Varun flees, with the antique idol and other treasuries, abandoning Pakhi.The story moves an year ahead, Zamindar Babu is no more, he perhaps could not take the sudden upheaval that had occured, but Pakhi affirms, that it wasn't the material upheaval, but the conceit by Varun that killed him, and hold Varun responsible for her father's death. Pakhi lives in a cottage in Dalhousie, all by herself with the assistance of a maid-servant. Pakhi is struggling with writing her book, but all she manages are a dozen ruffled pages with some scribblings. Her tuberculosis grows worse, and she is just counting days of her life and the leaves on the tree outside her window. The 'lootera' re-enters Pakhi's, and this time he is not welcome. This time he is injured, bereft of all his charm and is a fugitive on run. But Pakhi refuses to report him to police, the maid fails to understand why is she saving him. But How would she? When she doesn't have enough strength to lead her life beyond the fall of the last leaf, how can she muster the strength to put someone else's on trial. That was the point of life and Varun had brought her to. We see the return of the naive Pakhi,long surpressed, when she asks whether he loved her at all? 'dil rakhne ke liye hi haan bol do'. He confesses that he can never forgive himself for whatever he has done to Pakhi and her father, and confesses how much did he loved her, and still does, how she was his only chance to love and how he lost it. And thereby tries to re- instill Pakhi's lost vigour and explains her how transfixing her life and this nihilism about life is not correct. A promise of a thief. And how he delivers. He climbs, stumbles and bleeds his way upto the branch of the tree and ties the leaf. And leaves.This time forever and walks his way to his end. After having accomplished his 'masterpiece'. He dies, she rises, steps out of the house after days inches closer to the tree and finds a new 'leaf'added to her chapter of life. The chapter that she must take forward. Autumn succeded by winter marks the death of all forms of life, but also anticipates the regeneration that is in offing. When Varun takes refuge in Pakhi's cottage -a lot of sympathy and pain-sharing takes place. Love blossoms again, this time more mature. Its through the realisation of pain(physical and mental) that one truly liberates,enabling us to identify our bond with our loved ones. 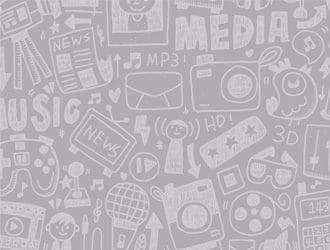 Therefore it can't be a co-incidence that out of dejection are born the greatest seeds of poetry and stories. One such story that Varun contributed to Pakhi, with his 'masterpiece'. "Does dawn ever bring the moorings of the shredded darkness, the dried-ink in the bottle bears witness; to years old, a tale such, left untold". It is a classic movie. A classic love story with all the charms of a period film. We loved watching it. Sonakshi and Ranbeer both are wonderful. If you want to go back to the golden old days with all it charms, do watch it. Its story is also very touching. Loveable movie. Lootera Review - Movie or Painting?!? 'Love is not just about caring for others..but to be a reason for each other to continue living' Perfectly depicted in to the movie...with awesome music and the best change that one could have from the same 'Ghisa-peta' Hindi Tollywood movies ! To begin it, depicts a period drama from the years 1953 &amp; 1954 a time of great upheaval for the Bengal aristocracy.The Minute details that have been looked after by Vikramaditya Motwane certainly is appreciable and worth acknowledging Then may it be the screenplay, the camera work, and right up to the era's accessories and over all set arrangement, it is simply amazing! There are some scenes which have been shot in the early morning's and a few in late evening which forms to a great frame in the movie..it certainly shows how much the 'Lootera's' have worked to get the right light !! As you move along with the movie the 3 things that you definitely would know...'The Strong Dialogues' Anurag Kashyap 'The Music' Amit Trivedi and the 'Amazing dialogue delivery and voice of the 'ChaCha' Sonakshi Sinha's on screen father The Love story is definitely slow, but doesn't loose it's track from the core..! The efforts put-in are seen from the fact that, whenever the movie seems to be going a bit slow, there's always that humor put in which makes you deviate from the stretch and keeps you away from being bored... xD Not to forget some amazing visuals from the parts of Dalhousie, India and Himachal Pradesh ...truly mesmerizing ! 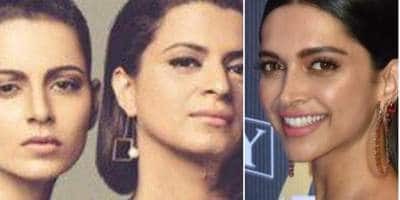 It could go on for pages to discuss about such a movie attempt and the 'Directors Cut' in it..along with some 'Sheer-Khans' of Bollywood in true sense as far as Art of Filming is concerned ! Going back to the people who have hated Sonakshi Sinhai &amp; believed that the only reason she's been getting good projects is sheer Luck and her father, she proves it here to akk of you ! (Go check it out) Man, real hard work by her...nice acting and the presentablity of portraying the beauty of 50's is quite noticeable..!All i can say is Way to go for her, she's probably in the right direction with the right movies in her brand!! I don't know why but people hate Ranvir Singh ! He has done great in the movie, all i would say is 'Girls don't just go on the looks' With all this The Drama, The Story, The Love, The Romance, The Class you have Music by Music by Amit trivedi touching music..!! A lot more to say...but it's better if i leave it for you to watch it In Short a great love story &amp; a Must watch !!! Cons: Boring, Slow, Old-Fashioned, Bad Ending. Pros: Actors, Music, Cute-ish. I didn't like it. I expected way more! There was no excitement, no dance numbers, no climax. Save yourself 2 hours and don't watch it! The past month has given us two super romantic movies. Though Raanjhana and Lootera are completely different in their stories and their ways of telling these stories , what is common to both of them is the intensity which hits you and leaves you in a dazed state after the movie is over.Pakhi is a rich landlord's daughter and Varun comes to their house as an archeologist to excavate some ruins. They fall in love but all is not what it seems. What follows is a tale of deception, love and a deep sadness.The movie is set in the 1950s when the zamindari system was just being abolished and the movie takes great pains to get the scene just right. The ambience, the music and even the pace of the movie is vey slow and measured. The romance blooms in a genteel fashion. At times, the pace may seem a bit too slow but then it is but an echo of the times the movie is set in. Though the background score (old Hindi songs, Western classical etc) fits the mood, I found it a bit overpowering.Sonakshi, though she could have been looked frailer in the role comes through as the gentle, aristocratic, slightly impervious young woman who falls in love and then suffers. Ranveer is a surprise. Normally bursting with energy, it must have been hard for him to keep it all bottled up and under check. But he does it with ease and transfers all that physical energy into an emotional intensity that dazzles you in the last few scenes. Once again, the supporting cast of Vikrant Massey playing Varun's buddy and Barun Chanda as the Zamindar add invaluable depth to the movie.Though apparently based on O. Henry's Last Leaf, this movie goes off in a totally different direction from the original story. You couldn't spin out Last leaf (which is after all a short story) into a full fledged movie if you tried. Lootera takes the germ of the idea from that the original and then creates it's own magic. A gentle, wistful love story to think over while the rain softly plays outside your window is just the ticket for this season.